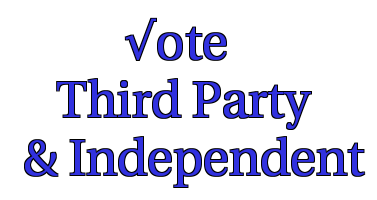 Third Party and Independent Daily: Tis a Gift to Know What (Sort of Third Party) You Want to Be! Tis a Gift to Know What (Sort of Third Party) You Want to Be! I blog over at A New Kind of Third Party about the need for third party enthusiasts to make choices.